Distance to: airport - 5 minutes drive, city centre - in city centre. The hotel has 56 rooms: 1 single, 46 double rooms and 9 suites. 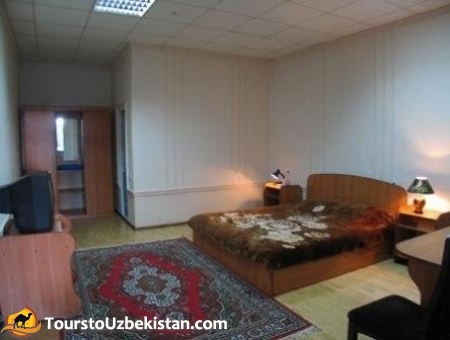 Rovshan Hotel is located in the center of Tashkent, five minutes drive from the international airport, not far from Mirabad Market, Asaka Bank, Russian Embassy. 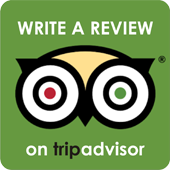 Each room has an air conditioner, satellite TV, telephone and private bathroom. Rooms are equipped with a mini-bar. 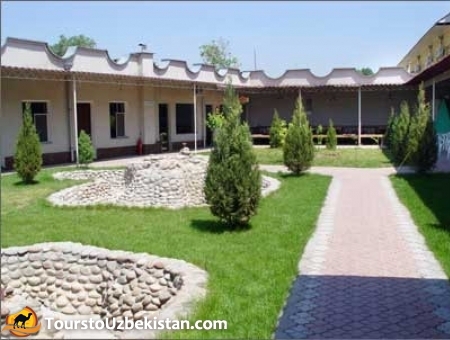 The hotel Rovshan can count on excellent service and familiar services. Conference room is ideal for conferences, trainings, meetings and seminars. 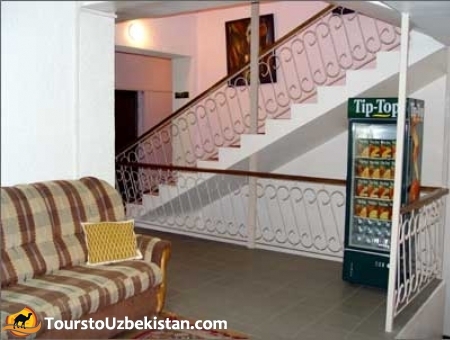 In addition, the hotel has a restaurant with delicious Uzbek cuisine. Currency exchange office is at your disposal.